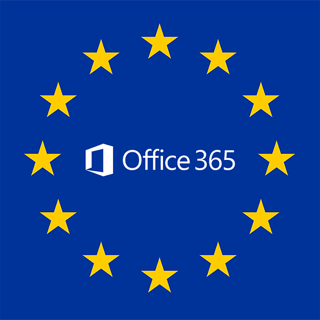 Microsoft Office 365 adoption has steadily grown, but second thoughts about GDPR compliance may be holding some organizations back. Here's what you should know. The cloud-based security services market is estimated to reach nearly $9 billion by 2020 according to the latest figures by Gartner with one of the leading cloud-based office providers being Microsoft Office 365. In fact, over the past year in Europe, Microsoft Office 365 adoption has more than doubled. Yet, according to our poll of information security professionals, almost half are holding back from using cloud Software as a Service (SaaS) applications due to perceived security risks. This is because the single biggest barrier with cloud SaaS adoption is data compliance and half of security professionals we spoke to said that they have had a cloud project delayed or stopped due to compliance issues with their cloud providers. The eperi Gateway ensures any enterprise meets corporate defined data security polices while providing protection methods such as encryption and tokenization, which can be deployed in a fraction of the time compared to other encryption solutions. When combined with Office 365, the solution runs as a seamless information security layer that offers full protection of the data without hampering any of Office 365’s functionalities. The enterprise’s Data Officer/Controller is given full control of the encryption keys and at no point does the SaaS vendor have access to the keys or Personally Identifiable Data (PII). Data policies are defined and set up to safeguard all sensitive data entered by users. The information is encrypted or tokenized before it leaves the enterprise and enters Office 365. This makes the eperi solution compliant under GDPR article 32 which specifically instructs that sensitive data must be protected during its entire lifecycle and at all stages of the data being processed. To guarantee all data is protected, eperi is not limited in its feature support and offers a unified platform that can work on Windows, Mac, all internet browsers and mobile devices allowing company employees full protection whether they are in or out of the workplace. By housing a platform that can protect a business’ sensitive data, while conforming to the various legal, regulatory and internal security compliance hurdles, the eperi Gateway allows enterprises to move forward when adopting cloud SaaS providers such as Microsoft Office 365.